Arsenal youngsters Aaron Ramsey and Henri Lansbury will be playing regular football in the Championship over the next few weeks. They have joined Nottingham Forest and Norwich City respectively. Ramsey suffered a horrific injury back in February against Stoke City and the loan spell will act as part of his recovery process. He will be at Forest until January and made his first appearance for the club in last night’s 1-0 defeat to Leicester City. It will certainly be good to see him in a pair of football boots again, pulling the strings in midfield. Perhaps he can work his way into the Arsenal team once he returns in the New Year. As for Lansbury, he has already made a positive impression at Norwich. He played a very significant part in their 4-1 hammering of local rivals Ipswich Town on Sunday and it looks like he will get plenty of game time at Carrow Road. The 20-year-old certainly enjoyed his time at Watford last season, so hopefully he will do the same this season at Norwich. He does have a great deal of talent and it is much better for him to be playing competitive football than sitting in the reserve side. So Ramsey and Lansbury will be putting their efforts in away from the Emirates for the time being, but they will be back and raring to go before long as they look to force their way into Arsene Wenger’s first team plans. Whilst Aaron Ramsey is not at the same stage of his career that Eduardo was in, the similarities between their two injuries are otherwise very close. However, while Eduardo has failed to recover properly from his injury in the fact that he hasn't yet rediscovered the kind of form he had been showing before it occurred, Arsenal (who offer great value to win the league if you search for the best odds) are looking to pull out all the stops to ensure that the same does not happen to young Ramsey. In a change of direction from Eduardo’s recovery, where he was thrown back in the deep end of English football, Ramsey will get a chance to find his feet in the lower tiers of the game at Nottingham Forest. With Championship football likely to ensure that Ramsey gets a sharp reminder of the physical side of the beautiful game, the youngster should have the perfect opportunity to show that he is still one of the most exciting prospects in English football. Should Ramsey find top form whilst at Forest, fans of both Arsenal and Forest will be pleased to see the youngster getting back to the top of his game as the loan seems to satisfy both parties in the deal, especially with Forest and Arsenal both in need of a bit of extra help to help them upset the sports odds and get them to the top of their respective leagues. However, if the youngster fails to return to the promising level of form he showed at Arsenal, then we may find that once again a promising footballer has seen his chances of succeeding in the top flight of English football eradicated by a horrific challenge that should have no place in the game. Wenger lashes out, but are Real just sticking to the norm? 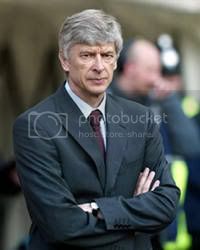 Arsene Wenger is a man who has made a habit of sharing his opinions with the English media in recent years, but his latest outburst against Real Madrid and, in particular, the tactics they employed against Ajax may have made Wenger a few more enemies than he would have wished. Many top managers face the unwanted and potentially devastating scenario of having the threat of having a key player suspended in vital Champions League knock-out game, so Wenger's attack on Madrid may well be perceived by many as nothing but an attack on common sense in the game. After all, it's not like the move led to a massive upset in the Champions League betting. With Real Madrid likely to lose out on a fair sum of money should they fail to win their next match in the competition, and the players in question sent off against Ajax for infringements that put no opposition players at risk, managers may be left scratching their heads at exactly what Wenger is moaning about, especially if the tactic is as widespread as many believe it is in the modern game. However, if this is the case and teams are looking to manipulate the laws of the game to gain an unfair advantage, then perhaps UEFA are correct in choosing to charge Madrid and send out a warning to teams that states deliberate manipulation of the rules is not acceptable. Anyone looking to bet on Champions League winner in coming weeks should remember the players in question could still be banned. Despite this, it remains to be seen how you can prove that a player has deliberately earned a red card or a booking, and others will argue that instead of rooting this kind of cheating out of the game, it could lead to more horror tackles where players make sure that their infringements do not go unpunished. Whatever the result of this enquiry and the possible sanctions Madrid may face, the problem of cheating in football is not something that this one effort by UEFA is going to cut out. Arsene Wenger knew he was taking a risk of Cesc Fabregas’ fitness when he named him in the starting line up for the Gunners Champions League clash away at Braga. The Spanish International had complained of sore hamstrings and it was believed he would sit out the match in Portugal in order to be 100% for crucial upcoming league games. In the end he was a surprise selection, despite other first teamers Robin Van Persie and Andrey Arshavin sitting out the game against the same opposition they beat 6-0 in the reverse fixture last September. But those who followed the latest scores this week will be aware that the gamble backfired spectacularly and things quickly turned sour for Arsenal the moment Fabregas limped off midway through the second half. A few minutes later Carlos Vela was brought down in the box but was bizarrely booked for diving instead. Then six minutes later Matheus ran onto a long ball and slotted clear to put the Portuguese side ahead. With the Gunners pressing for an equaliser in stoppage time Matheus broke free again to seal a famous win for Braga and drag them back in contention in a group they looked dead and buried in a few weeks ago. Arsenal must now win their final group game against Partisan to ensure progress and will have to do so without captain Fabregas, who now faces up to three weeks on the sidelines, missing vital Premier League games as well. This is a double blow for Wenger as he knows his side need to bounce back in the league as well following their shock 3-2 North London derby defeat to Spurs on Saturday. Those who plan to follow the live football scores this weekend should note that they head to Villa Park on Saturday without their inspirational skipper and know their Premier League and Champions League odds have taken a serious hit as a result. Do Gunners lack the fight needed to win Premier League? The sight of Arsene Wenger slamming a bottle of water to the ground in frustration (giving Pat Rice a soaking in the process) is perhaps one of the images of the weekend. It was also the only sign of passion or fight emanating from the Arsenal camp in a game against Spurs they should never have lost. When the live score came in that the Gunners were 2-0 up, many thought the game was up, but they were wrong. After two battling away wins at Wolves and Everton – results that caused many to tip the Gunners for the title – old flaws were once again exposed at home to their bitter rivals. At half time everything was rosy and the players should have started the second half with a clear idea of what to do. The must have expected an early barrage from Tottenham who had to try and get an early goal to get back into the game. Even after Bale’s strike the home side, with the array of attacking talent on offer, had no need to shrink into their shell like they did. The belief they had gathered in the first period slowly seeped across to the opposition – both on the field and in the stands. So much so that it was almost expected when Younes Kaboul beat two Arsenal players to the ball to head home the winner late on. For Arsenal fans it is an all too familiar tale of raised – and then dashed - expectations. Wenger’s hugely talented squad get themselves into winning positions but when it comes to the crunch they appear to lack the fight, both physically and mentally, to go the extra yard. Well for me there appears to be a lack of leaders in the team, Cesc Fabregas apart. Sometimes you need players who can drag the team through difficult periods and make them believe in themselves. The Live scores could well be reporting on an Arsenal win this weekend against Aston Villa, but until Wenger solves that problem the spectre of Adams,Viera, Henry and co will loom large over his underperforming squad. Arsenal have worked extremely hard in recent weeks to prove that they are finally real title candidates this season after failing over the past few years largely as a result of inexperience and naivety, with Arsene Wenger's young side sometimes missing a crucial element of leadership. Hard-fought wins over Wolves away from home and Everton away from home seemed to prove that the home defeat at the hands of Newcastle prior to those games was a minor blip from which they did well to recover. However, on the evidence of the weekend's game against Spurs, it would seem that all the positive work performed so far this season has gone to waste. The first half of the North London derby showcased Arsenal's silky skills and possession football brilliantly, with Spurs unable to break up the home side's play. Despite Rafael Van der Vaart and Gareth Bale forced into more defensive positions in an attempt to help out the Spurs defenders with the likes of Samir Nasri and Cesc Fabregas running riot, Arsenal were allowed the time and space within which to weave their magic and they perhaps should have scored more than the two goals they grabbed in the opening 45 minutes. However, even those favouring the arsenal betting odds will admit that the second half saw naivety and sloppy play creep into Arsenal's style, with complacency allowing Spurs a foothold in the game. After Spurs' opener, Arsenal lost their heads and the sort of composure needed to win the title was entirely missing from their play. When Tottenham grabbed an equaliser, it seemed there was only one side capable of finding a winner. With tough fixtures coming up against Aston Villa away from home, and a trip to Manchester United also on the horizon, Wenger may find that it's only the inconsistency shown by the other sides in the race for the title that prevents the arsenal odds of success falling behind irreparably over the Christmas period. Arsenal's injury-plagued Dutch striker Robin van Persie has risked the wrath of boss Arsene Wenger by publicly criticising the Arsenal manager for ignoring his advice to snap up Rafael van der Vaart in the summer. Van der Vaart did, of course, decide to make the move to North London after being deemed surplus to requirements at Real Madrid, but Spurs were the lucky side that ended up securing his services. This hasn't gone down well with Van Persie, who has been quoted in the Sun as saying that his "advice was not followed" despite the player making it clear how talented and consistent his Dutch teammate is. The Arsenal odds suggest the club are still in with a chance of winning the title, but clearly the striker thinks things would have gone better with Van der Vaart. Although every player is entitled to his own opinion, the decision from Van Persie to question the decisions of his manager publicly is a risky move. Wenger hasn't taken kindly in the past to players deeming themselves bigger than the club, and that's exactly what these comments seem to hint at. Of course Van der Vaart has helped Tottenham defy the Champions League odds this season, but should Van Persie be rubbing his manager's nose in it? With a couple of high-profile names finding themselves on a fast train away from North London after making similarly ill-judged comments, either in private or in public, Van Persie may yet live to regret his decision to speak out on the issue. This is particularly the case when you bear in mind the lack of first team action the striker has experienced over the last couple of years. Whether Wenger, always so watchful of Arsenal's finances, will be content to continue to pay the striker's wages as he fails to recover from persistent injuries and even risks becoming a disruptive influence on the bench, is a question that the Dutchman may not like the answer to. Manuel Almunia has always had a strong bond with the Arsenal faithful, who have consistently backed their calamity goalkeeper because of the few top class performances he has managed to put in for the Gunners. However, with Lukasz Fabianski having displayed performances that have left his doubters beginning to wonder whether Arsene really does know in this instance, and young keeper Wojciech Szczesny proving that he's more than ready and willing to step in should the current Arsenal number one falter, the end could be nigh for Almunia. With Wenger previously stating that he will not pick anyone based solely on their name and reputation, with only performances seeming to matter, it seems that Alumina will now need to outperform both Fabianski and Szczesny in training before hoping that one or both of them fail to perform for the Gunners in future games. If this doesn't happened before January then it is likely Almunia will choose to leave the club rather than spend the prime years of his career warming a bench once again at the North London club and the football rumours reflect this. 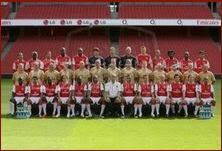 Although fans of the club are proud to support those who remain loyal to it, as Almunia has done, they are also desperate to see their club emulate the success of former years and re-establish themselves as the top team in London. Arsenal were Andy Gray betting tips for the title this season, so they will have to push on. If this means sacrificing a man who has shown his love of the club then Arsenal will need to see if they are prepared to follow the example of Chelsea, who ruthlessly sacked assistant coach Ray Wilkins once they deemed him surplus to requirements. If they are not willing to do so, they may find the ruthless nature of the Premier League leaves them failing to taste glory and secure silverware for the foreseeable future. The most faithful of Arsenal fans may have had to pinch themselves when the rumours started doing the rounds this week that Arsenal manager Arsene Wenger is considering breaking the habit of a lifetime in order to splash the cash in a big way to secure the services of Borussia Dortmund centre-back Neven Subotic. However, few other football fans would have been in the slightest bit surprised, such is the worrying extent of Arsenal's woes in their back line. It seems blindingly obvious to anyone who has watched Arsenal play this season that Wenger needs to set aside philosophy and the long-term "project" he's working on at the Emirates and bolster the Gunners' defence as quickly as possible. The need would not, perhaps, be so great had Arsenal been able to rely upon the talented and reliable Thomas Vermaelen. However, the 24-year-old has been ruled out for an indefinite period of time as his bid to return to full fitness after suffering an injury a couple of months ago suffered a severe knock. With Vermaelen out of action, summer signing Laurent Koscielny has been thrust into first team action on far more of a regular basis than Wenger would have felt comfortable with before the season started. In fact, Koscielny seems to be the source of many of Arsenal's problems. Not only has he been sent off twice already this season but he has also been at fault for giving opponents clear sights at goal on more than one occasion. Last weekend, the player's lack of experience was clear for all to see, with Andy Carroll taking advantage of the player's lack of pace, movement, and conviction by firing a header into the Arsenal net. The goal condemned the side to defeat in a match the Arsenal betting tips suggested they would win. Wenger would surely have expected more from a player he paid £8 million for. If Arsenal are successful in their bid to attract Subotic, who has been instrumental in leading his side to the top of the Bundesliga this season and is thought to be a man in the mould of United stalwart Nemanja Vidic, Wenger won't have to rely upon players such as Koscielny who simply don't make the grade at the top level. If, however, their bid fails and their fine attacking efforts continue to be undermined by catastrophic individual errors in defence, Arsenal's miserable trophy drought won't be coming to an end any time soon. Meanwhile, the Everton betting suggests the side are still on for a European spot despite a slow start to the season. The side are currently 12th in the table, but are just two points off fifth. Arsenal have been dealt a blow ahead of their tricky Champions League mission in the Ukraine as they have to embark on the game without their captain. Cesc Fabregas has struggled with injuries all season, and a new hamstring problem means the Spanish playmaker will not be able to take part as the Gunners take on Ukrainian champions Shaktar Donetsk on Wednesday night. Arsenal are currently the only team in Group H with a 100 per cent record and top the table. However, they are guaranteed a tough game at the Donbass Arena as Shaktar will look to seek revenge on their home turf after being thrashed 5-1 at the Emirates last time out in the Champions League. The Champions League promotions reflect this. The prospects of the North London side look bleak without Fabregas, who Arsene Wenger said he "cannot take a gamble on", but it is worsened by the fact there are worries about three other midfielders. Alex Song, Andrey Arshavin and Denilson all struggling and Wenger could be struggling in midfield as he stated all three need to be "assessed later". "Alex Song has a problem with his calf which we will assess today, he has a chance not to travel," Wenger added. "Arshavin has a problem and we might leave him at home and Denilson has a groin problem." Despite the problems, the Champions League best odds still show the side have an excellent chance of progessing. The other game in Group H sees Partizan Belgrade face Braga and the latter will be hoping to get a result as they could pull level in second place with Shaktar if Arsenal do them a favour, meaning they will have a great shot at getting into the Champions League knockout stages. Here's a stat that might surprise you - Arsenal's talented young winger, Theo Walcott, has never won a piece of silverware since his career started. He's still relatively young, although perhaps less so in the context of Arsenal's squad, but it seems like an age ago that Walcott burst on to the scene at Southampton, earning plaudits from far and wide and eventually signing a deal with Arsenal. It is therefore unsurprising that Walcott is desperate to win the Carling Cup this season after Arsenal's bright start in the competition. Viewed by many as a meaningless trophy that only minnows in English football care about winning, the Carling Cup is high up on Walcott's list of priorities this season, with the winger believing in the mantra of success breeding success. In all honesty, trophy-hungry Gunners fans would probably love to win the trophy, even if it was the only piece of silverware they secured all season. However, Walcott clearly believes that overcoming the hurdle of winning the first trophy could open the floodgates for more success. Anyone looking to place a Premier League free bet might want to remember this. This is clearly a philosophy shared also by boss Arsene Wenger and, despite a few setbacks, his young team are still capable of winning the Premier League this year. Glory in the Carling Cup would boost their levels of self-belief which may not be as high as would be expected at a club the size of Arsenal. After all, the squad is full of young players who don't have the gritty experience of old campaigners such as John Terry and Frank Lampard. People looking to bet on Premier League winner should keep a close eye on Arsenal's form in the coming weeks. With Arsenal set to welcome back a few familiar faces over the next few weeks, including Aaron Ramsey and Robin van Persie, this is a club with real ambitions. 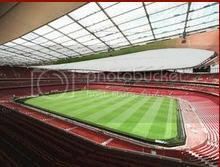 Don't take their hunger to win the Carling Cup as a sign that the Arsenal's expectations have slipped in recent months. It's exactly the opposite.